As public perception and of addiction continues to shift toward viewing drug and alcohol addiction as a disease rather than a moral weakness, many addiction treatment specialists have begun to argue that the way in which individuals who are charged with crimes related to drug use and possession should be treated as people with medical problems more so than criminals who should be punished. This shift in thought and policy has given way to more drug courts choosing to order treatment for individuals convicted of drug use crimes rather than sentencing them to jail time. Many people involved in both the law enforcement fields and addiction treatment fields have been quite curious as to whether ordering treatment over jail time truly has an impact on lowering instances of illegal drug use. A number of studies have yielded quite promising results when it comes to the effectiveness of these so-called drug courts. One study, which looked at results from 32 different drug court programs found that they did in fact have a significant impact in lowering instances of repeat arrests by drug users. 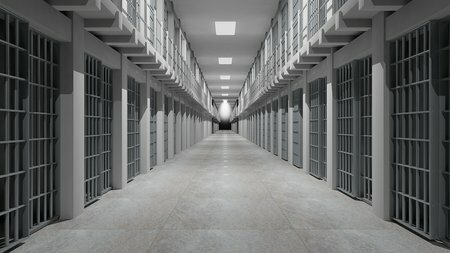 The study found that in the programs that were assessed, 32% less drug users returned for repeat offenses after undergoing mandated treatment than returned after serving jail time for crimes related to drug use and possession. While some studies involving drug courts have shown that there is a markedly lower instance of rearrests in areas where drug courts are used as an alternative to jail time, there are many areas where mandated drug programs have not yielded significantly lower rates of rearrest. The reason for this is somewhat unclear. Drug courts are programs that have become common practice fairly recently, and it remains to be seen exactly what type of treatment programs will be most effective for drug offenders who have found their way into the criminal justice system. Some argue that while the idea of drug courts are well intended, the reality remains that in order for a treatment program to be tilt effective, an addict must make the choice themselves to begin the steps of recovery. Mandated treatment may, because of it’s very nature prove somewhat ineffective. That said, when faced with the possibility of jail time, many addicts may realize the severity of their problem and be in a position to take seriously the tools being handed to them by a drug court system. While the exact process of mandated treatment remains yet to be fully hammered out, most addiction treatment professionals agree that the wide adoption of drug court programs represents an important change in the way that society as a whole views drug addiction. As addiction continues to be viewed as more of a disease than a moral weakness, the number of deaths related to drug use seem to go down. Recognizing that addiction is a disease that virtually anyone of any age, gender, or background can suffer from allows a type of thinking that is focused on reducing the number of deaths related to drug overdose. Many programs that have been shown to cut down on overdose deaths are somewhat new and place an emphasis on treatment over punishment. One such policy involves access to Naloxone, a drug that can reverse the effects of a heroin overdose and may help buy an addict who is at risk for overdose death enough time to get safely to a hospital emergency room. Advances like these may begin to truly change the landscape of addiction management and the way in which treatment is administered.